Russell Dwayne Mark Leverock (born 14 July 1971 in Bermuda) is a former Bermudian cricketer. Known as Sluggo and living above a curry house in Bermuda, Leverock is a policeman and also drives a prison van. 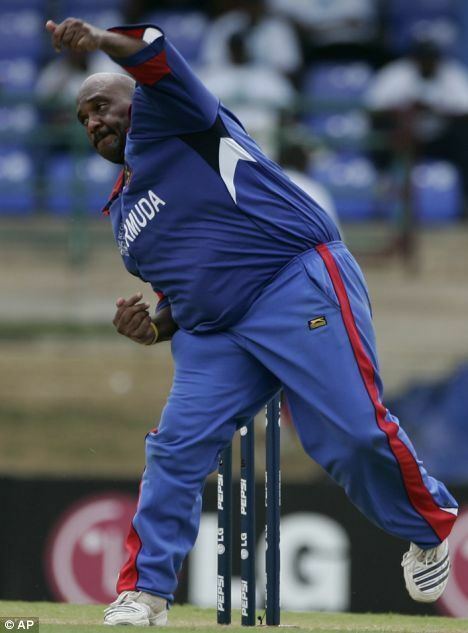 At the 2007 Cricket World Cup he was the largest player to grace the pitch, weighing in at 20 stone (280 pounds or 127 kg). 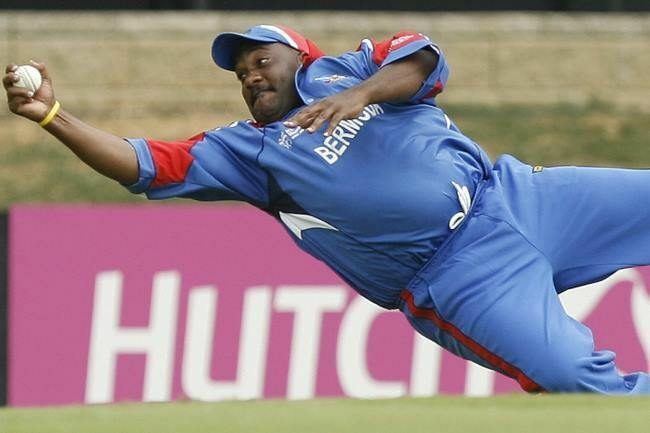 However he is not the heaviest man to ever play international cricket. Warwick Armstrong weighed about 22 stone. Leverock played with the Bermudian cricket team in their first ever One Day International when they played Canada on 17 May 2006. Leverock claimed one of Canadas wickets as Bermuda won the game by three wickets under the Duckworth-Lewis method. He has since gone onto play for Bermuda in 11 ODIs, and picked up the first five wicket haul by a Bermudian bowler in ODIs, when he took 5/53 against Kenya which he achieved by opening the bowling, no mean feat for a spin bowler. He has also represented Bermuda in all eight of their ICC Intercontinental Cup matches to date, with a best of 7/57 against the USA in 2004. He also played in the 2005 ICC Trophy, the ICC Americas Championship in 2004 and 2006, and in the 2006 Stanford 20/20. As a batsman, Leverock made his first half-century (51) against the Netherlands in the 2006 ICC Intercontinental Cup, including 8 fours, and shared in a 132-run partnership with Glamorgan captain David Hemp. It was reported that he "enjoyed his time at the crease so much that he expressed dissent when he was given out lbw, and was consequently fined for the action.". He made his second half-century (also 51) against the Netherlands in the 2007-08 ICC Intercontinental Cup, which included some powerful straight fours. In a warm up game against England, as preparation for the 2007 Cricket World Cup Leverock took the wickets of Paul Collingwood and notably Kevin Pietersen, his 10 over spell returning figures of 2 for 32 and resulting in Leverock attaining a cult following around the world. Leverock commented, "It was the first time I have played against a team like this. I settled into a rhythm, and when I settled, I took wickets. The wicket was turning a little bit". England captain Michael Vaughan was full of praise for Leverocks performance. "He bowled very well. Any spinner that drags Kevin Pietersen out of his crease, and does him in the flight, is a good bowler". Against Sri Lanka, Leverock took the wicket of Sri Lanka wicket-keeper Kumar Sangakkara, but missed two opportunities to catch Sri Lanka captain, Mahela Jayawardene. Leverocks 10 overs cost 67 runs. Leverock announced his retirement from international cricket in April 2009 after Bermuda finished in a disappointing ninth place in the 2009 ICC World Cup Qualifier which resulted in the team losing its One Day International status and failing to qualify for the 2011 Cricket World Cup.